Cleanse your body and mind through yoga and attain peace of mind. Experience the inner peace, yoga not only keeps you fit and healthy, but it is also a path to relaxation and internal solace, for which the man struggles throughout his life. In this fast pace of hectic life, situations trigger powerful emotions, but with yoga, you can get relief from both, the intrusiveness of outer affairs and also the incessant voices rising within us. It is refreshing, calming, restorative and appealing silence to the heart. Meditation cleanses your mind promoting inexhaustible energy along with mental clarity. Apart from this, it is a known fact that yoga poses have multiple benefits. If you are physically fit, it will lead to inner peace of mind and contentment. It denotes that just like the lotus, our spirituality is also deeply rooted in the muddy water. Our losses and mistakes can make us more compassionate and understanding. So, imbibe the symbolic teachings of the lotus flower in your mind, and achieve intense relaxation and calmness from within and be grounded. It is a path leading towards the stillness which begins with asana work. It helps us to a quiet verbal chatter reconnecting with our body. It is just the exact combination of holding the attention of our physical body engagement with the internal feedback. Thus, providing to collect our energies and focus on posture work. This leads to diminish our mental distractions naturally. It is a known fact that all yoga poses have multiple benefits. 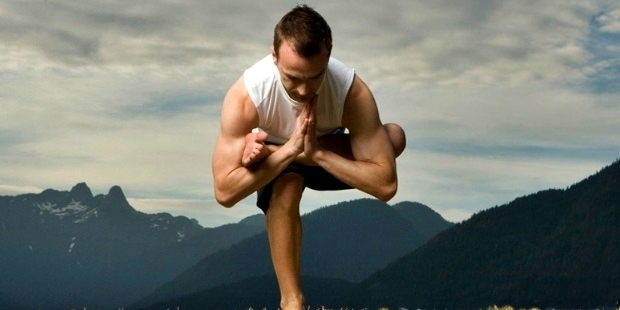 Similarly, the name of this pose itself suggests that this pose imitates churning activity done in India. It has many benefits; it not only tones up your muscles and joints enhancing flexibility, but also the integral organs assisting menstrual regulations and uterine muscles. As you do rotations while churning it helps to enhance your digestive system also and reduce your belly fat. It is the best for enhancing the circulation of the blood as it helps to lower the blood sugar levels. It is also considered to be the best for winning the belly fat. It also improves functioning of some other organs such as thyroid, liver, lungs and pancreas. It is supposed to be done in the beginning of the yoga sessions. It is also known as “the sun salutations”. As it specifically works on the spine and abdomen, you will feel the muscles of your stomach being stretched. This pose is great for belly fat, it improves breathing and digestion. Cobra pose relieves you from stress and fatigue along with improving your blood circulation. As you have to lie on your stomach, it increases flexibility of your spine, strengthening your back muscles. Yoga leads to the realization for lasting peace. The silence during yoga sessions relieves the mind by a sense of quieting down. The mind and body systematically gets cleansed, providing inner happiness, healthy body with a positive mind, embracing love joy and kindness.